Student application for grants is open until April 3, 2017. Don’t miss this chance! Listen to Dr. Patricio N. Abinales talk about President Rodrigo R. Duterte and the lingering issue of communism in the Philippines. Dr. Abinales is currently the director of UHM Center for Philippine Studies. 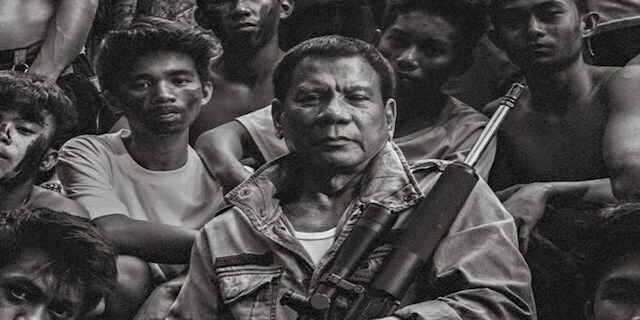 This presentation tries to figure out how divergent features of contemporary Philippine politics seem to blend seamlessly and unproblematically in the administration of President Rodrigo Duterte. More details of the presentation are found here. 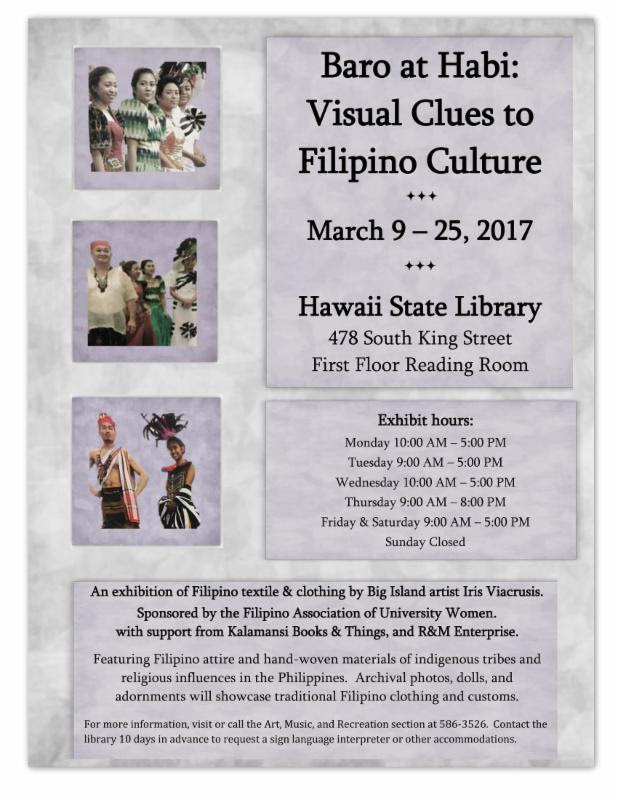 Folks, come and see visual clues to Filipino culture! Visit the rare exhibit Baro at Habi of FAUW.